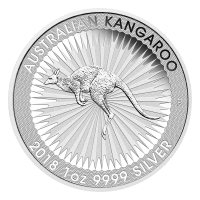 Order your 1 oz 2018 Kangaroo silver coin from our store today at the very lowest price online! This coin is the latest addition to the Kangaroo series from Perth mint, celebrating that far jumping marsupial which is and will always be such an iconic symbol of the Australian outback. The coin’s reverse features a dynamic image of a red kangaroo on the go, as designed by Dr. Start Devlin; the kangaroo is suspended, mid-flight, in a field of outward radiating lines, akin to a starburst of light or a vibrant sunrise. 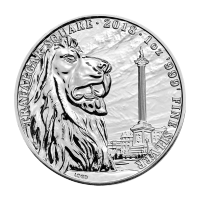 Also on the reverse, the coin’s title, year of release, weight and silver purity. The obverse features Ian Rank-Broadley’s rendering of her majesty, Elizabeth II, in breathtaking detail and surrounded by an equally striking frame design of minute radial waves. Within this frame on the obverse, you’ll also find the name of the queen, the country of origin and the coin’s unique face value. There can be no image more synonymous with the country of Australia than that eccentric and beloved creature, the red kangaroo. 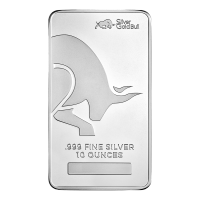 Celebrate the ‘land down under’ and enliven your holdings with a 1 oz 2018 Kangaroo silver coin today. 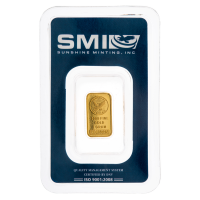 In multiples of 25 this coin will ship in a tube. 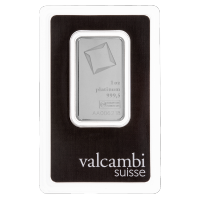 In multiples of 250 this coin will ship in a Perth Mint mini-monster box. Obverse Effigy of Queen Elizabeth II by Ian Rank-Broadley and the words "Elizabeth II Australia 1 Dollar"
Effigy of Queen Elizabeth II by Ian Rank-Broadley and the words "Elizabeth II Australia 1 Dollar"
1 oz 2018 Australian Kangaroo Silver Coin Order your 1 oz 2018 Kangaroo silver coin from our store today at the very lowest price online! This coin is the latest addition to the Kangaroo series from Perth mint, celebrating that far jumping marsupial which is and will always be such an iconic symbol of the Australian outback. 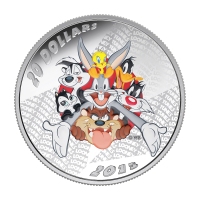 The coin’s reverse features a dynamic image of a red kangaroo on the go, as designed by Dr. Start Devlin; the kangaroo is suspended, mid-flight, in a field of outward radiating lines, akin to a starburst of light or a vibrant sunrise. Also on the reverse, the coin’s title, year of release, weight and silver purity. The obverse features Ian Rank-Broadley’s rendering of her majesty, Elizabeth II, in breathtaking detail and surrounded by an equally striking frame design of minute radial waves. 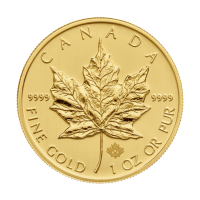 Within this frame on the obverse, you’ll also find the name of the queen, the country of origin and the coin’s unique face value. There can be no image more synonymous with the country of Australia than that eccentric and beloved creature, the red kangaroo. 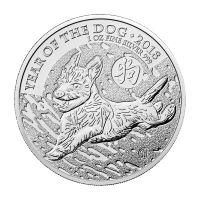 Celebrate the ‘land down under’ and enliven your holdings with a 1 oz 2018 Kangaroo silver coin today.